Out of the box the only installation needed for the Pop-Up Camper is sticker application. When we put together our camper last year, it literally took me 40 minutes to apply the stickers. This time around it was about half that time – which was awesome. To keep the camper compact, yet well appointed – many of the areas do double duty. 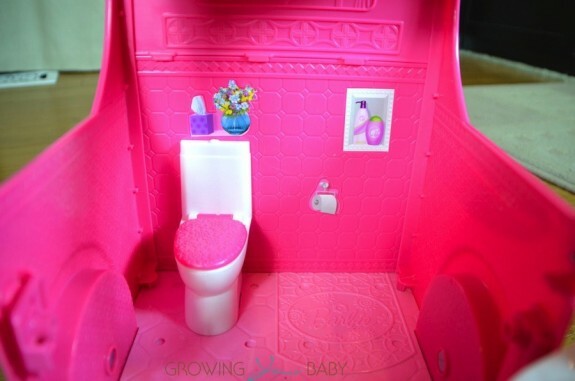 At the front of the RV, the driver’s cabin doubles as a bathroom! 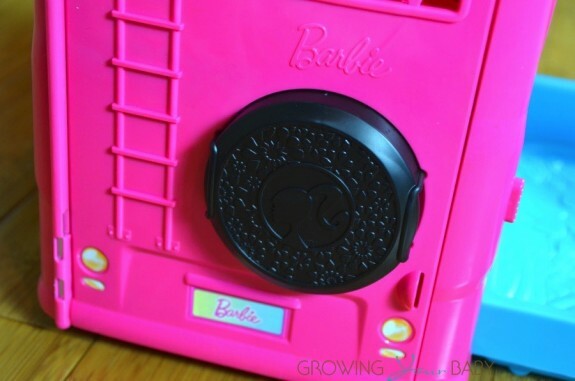 Flip the steering wheel to reveal a sink, and remove the seats to expose the toilet! At the back of the camper the door swings out to display a kitchen. 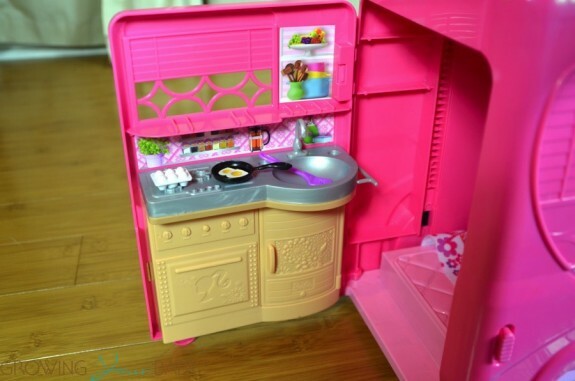 Equipped with a sink, stove and a small fridge there is enough room for Barbie to whip up a quick meal with the included frying pan, carton of eggs and spatula. 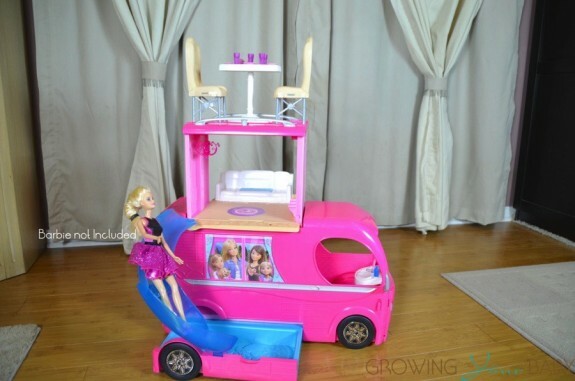 The real excitement happens, however, when kids lift up the camper’s pop-up section. 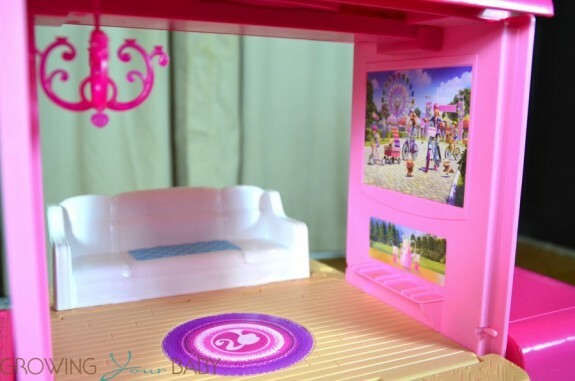 With just the flip of a switch, the whole middle section lifts up to show off Barbie’s living room – and a slide that goes right down to the RV’s pool! No camper would be complete with a sleeping space and the Pop-Up camper has one just behind the kitchen. 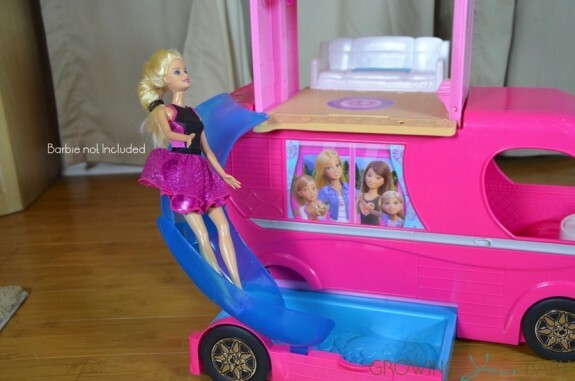 Accessible through the driver’s side of the trailer or through the kitchen, the pop-up must also be up in order to Barbie and her friends to catch some Zzzzs. This are comes with 2 Barbie pillows, a blanket and a hammock that can be hung from the roof of the bedroom or the living room. 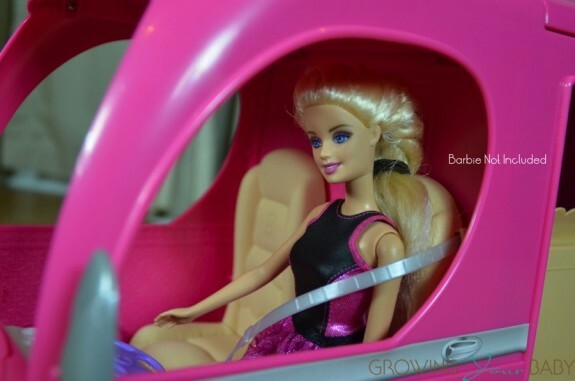 To give Barbie and her friends the best view at mealtime, the top of the camper doubles as her dining room. The table, which can be placed in the nook where the handle is, also comes with 4 cups, 4 plates and a bowl of popcorn. 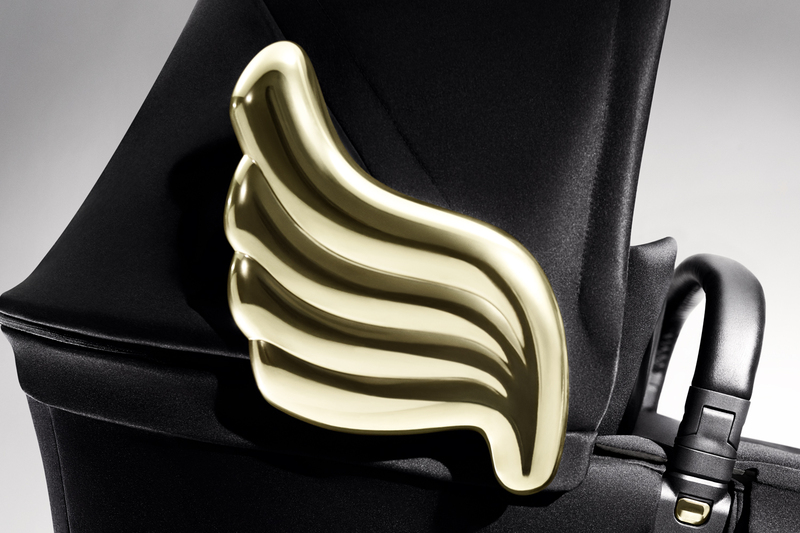 The Captain’s chairs from the cab double as dining room chairs – and voila – you have a meal under the stars! When it’s campfire time, the back wheel cover doubles as a fire pit, and the set also comes with marshmallows on a stick!